Rusty Wallace and his son Steve looked NASCAR fans right in the eye. On a series of TV commercials several years ago, the duo promoted the extended auto warranty company US Fidelis. The company's website had pictures of the two as anchor images on the homepage. This NASCAR sponsorship was a key part of the company's marketing efforts. The Wallace father and son made it personal. They assured fans on the TV commercials that the Wallace family could vouch for US Fidelis. Thousands of NASCAR fans trusted the Wallaces and signed-up, believing the extended warranties would cover almost everything. Unfortunately, it was all a lie. 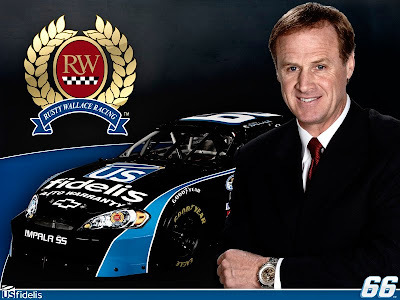 "Trouble Brewing For Rusty Wallace And US Fidelis Sponsor" was a Daly Planet column from June of 2009. Click on the title to read it. Various media outlets had begun to report on the reality of US Fidelis. NBC's Today Show dropped a bomb with a look at what was happening inside the company. That video can be seen by using the story link above. "Will NASCAR Learn From US Fidelis Collapse?" was the next column posted here in March of 2010 when the US Fidelis empire came crashing to earth. Click the title to read the story. The company had filed for bankruptcy and there was almost certainly going to be criminal charges coming for two of the company founders, Cory and Darain Atkinson. What was not contained in the subsequent lawsuits and legal actions against US Fidelis were the names Rusty and Steve Wallace. While Rusty Wallace Racing was still owed over $500 thousand in sponsorship dollars when US Fidelis collapsed, that was the least of the worries for the Wallace family. Federal law changed in the last decade in response to celebrities and athletes endorsing products and companies that were lying about goods and services. "Both advertisers and endorsers may be liable for false or unsubstantiated claims made in an endorsement," is the language of the new law. This time, the Wallaces walked away with only a dent in their racing wallets. The much larger dent was in the wallets of NASCAR fans across the nation who unknowingly helped to contribute to the over $100 million in cash that the Atkinsons plundered in this scam before it was ended. "NASCAR Fans Got Fleeced By US Fidelis" was the TDP column on this topic from November of 2010. Click on the title to read it. "U.S. Fidelis suckered consumers through a multitude of lies while its owners, the Atkinsons, drained money out of the company to maintain a lavish lifestyle,” said Washington State Attorney General Rob McKenna at the time. A multi-state task force had finally brought the Atkinsons to justice. On Tuesday, Cory Atkinson plead guilty to fraud and tax evasion in Federal Court. He was sentenced to three years in prison. In ten days, he is expected to again plead guilty to state charges of fraud and should receive an additional four years in jail. His brother Darain, the mastermind of the scam, is expected to spend twice that amount of time in jail when he is also sentenced later this month. As you can see from the reader comments on the 2009 and 2010 columns, it was quite apparent that something was up with this NASCAR sponsor from the start. Who can forget the endless replays of the Wallace family TV commercials and the unsolicited phone calls that were made by US Fidelis nationwide. These days, Rusty's NASCAR racing is limited to his appearances in the Infield Pit Studio for ESPN. His race team is closed and his son is out of the Nationwide Series. It seems that perhaps the US Fidelis debacle has been long since forgotten by the NASCAR media. The lasting damage from this incident is twofold. First, the financial impact felt by NASCAR fans who believed the sales pitch and contracted for extended service warranties with several thousand dollars paid upfront. They may never view Rusty and Steve Wallace quite the same way again. Secondly, NASCAR thrives on brand loyalty and often uses that term when courting major sponsors. Wallace is a high-profile TV analyst and now a Hall of Fame member. This was not a backmarker hawking diet pills or bbq sauce to pay the tire bill. It was a well-known NASCAR personality selling a vehicle-related product directly to the fan base. Did NASCAR learn a lesson? That has yet to be seen, but perhaps if Rusty Wallace Racing was alive and well right now the doorbell would be ringing with yet another notice of a civil lawsuit. After all, in today's world the consumer has just as much right to sue the endorser as they do the company providing the product. At least the ugly end of the US Fidelis episode may give pause to drivers, media personalities and owners in terms of thoroughly researching the companies and products they choose to endorse in the future. Additional links to the US Fidelis story are furnished below. We invite your opinion on this topic. Comments may be moderated prior to posting. I find it hard to blame Rusty for US Fidelis. That would be like blaming Jeff Gordon for a DuPont chemical disaster or Kevin Harvick for a drunk driver. Rusty didn't (as far as we know) knowingly participate in the scam. His monetary loss was significant, his reputation as a spokesman was equally damaged. RWR is shuttered. Rusty needed a team sponsor and US Fidelis said what he wanted to hear. They scammed him along with NASCAR fans. While I don't excuse Rusty for his actions, I just can't feel sorry for anyone that blindly goes into something like this just because Rusty says its a good deal. I see a commercial for something like this or one that claims it will fix all that ails my computer and I know its a bunch of baloney. So for me its shame on Rusty but also shame on anyone that signed up with this company. And I'm sure it wasn't just "little old ladies". It was likely middle aged men and women just like me who should know better. Unlike many, I do blame Rusty for assisting US Fidelis in cheating consumers. I think the promise of money blinded him and he failed to do adequate research of US Fidelis and extended warranty companies in general. People thought that Rusty had checked out the company and they took him at his word. They paid a high price for their trust in him. There are other companies sponsoring or advertising on NASCAR that sell products of questionable value. However, most of these products are not expensive or dangerous. I think sponsorships or endorsements by dishonest or questionable products diminish the value of all sponsorships or endorsements throughout NASCAR. I think that is part of the reason teams and drivers are having problems getting or retaining sponsors. While I don't think Rusty should be made the laughing stock of the town, he does hold the responsibility of using his personality and fan loyalty to persuade NASCAR fans to invest in a shaky company. There have been a lot of 'fishy' companies that have entered the sport since economic troubles began in 2008. I think stories like this are sad, and only breaks down the fan loyalty the sport was known for. But the positive is fans are becoming smarter and more aware of brand marketing - there is more going on than presented. The fact that his racing operation closed and Steven is out of the series, at the same time this fiancial disaster was crashing isn't lost on me. Insiders know, especially when it comes with millions of dollars attached,that they communicate with the celebrity endorsers, and quietly tell them, "Look, you better jump out now, or it could be really bad..." Sure, it's not the same as one earlier poster says about Harvick and Budweiser, Or Dupont, but this is different. In my opinion, Rusty knew about it, but more than likely after the building started to collapse. You don't just suddenly shutter the doors of a race shop, what with all his money. James Finch has less money, and still operates. Rusty should issue a statement of apology to the fans in regards to this debacle. I'm sure at some point, whether in intial meetings or later once consumer complaints snowballed, Rusty realized he was in a deal with a large-scale con game. It's telling that he was happy to keep the checks coming. Pretty funny that the only one in the entire racing world willing to call him out on it was Paul Tracy. Pretty funny that in all of the racing world, the only one to ever call Rusty out on his greed was Paul Tracy. 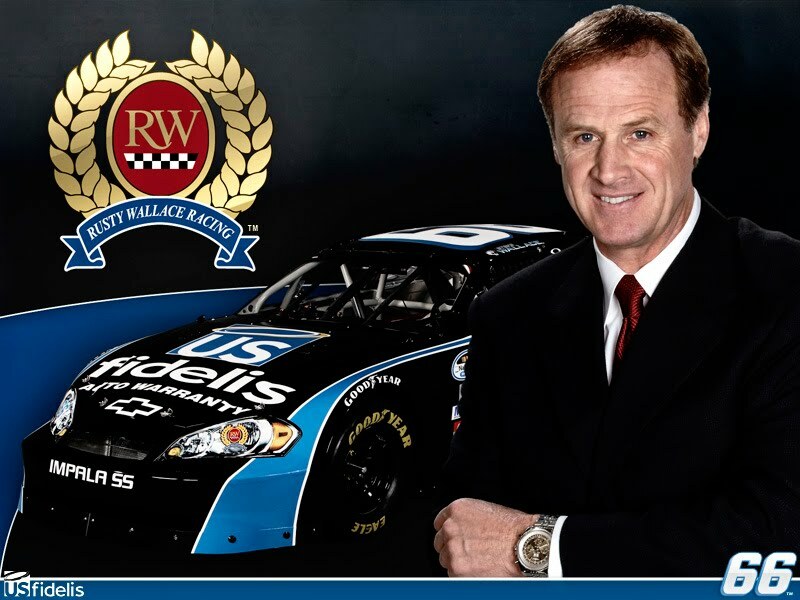 Unlike RPM, I don't find it difficult to blame Rusty Wallace for US Fidelis and it's scam. Yes, he lost money on the deal too since they didn't pay him the $ he asked for but it isn't quite the same as the example used of blaming Jeff Gordon for a DuPont chemical spill. Rusty Wallace was the owner AND endorser. I believe that due diligence was required on the companies part in finding out whether or not US Fidelis was actually delivering on their product. It is indeed a buyer beware situation as well. There are so many ads out there these days and so many of them are scams. Just listen to the ads for various medications. Then listen to the listed possible side effects. I don't think I can even believe my doctor without research these days, let alone a former driver & his son. When you were contacted by this company, they would "high pressure" you into buying an extended warranty for your car. They would start at $5000.00 a year and if you balked they would lower it to $4000.00 then $3000.00, lowering the price until you bought in. They advertised that they would replace your motor which the garage charges 5000.00 for, or a transmission for 3000.00, what idiot would put 5000.00 into a 10 year old car with 150,000 miles on it? Think about it, is it a good deal to pay 5000.00 for insurance that may pay for a 5000.00 repair? I can remember seeing the Ad with Rusty hawking this scam, and thinking "What is he doing?" He just continued the preconceived impression of the "Dumb Southern Bumpkin". For a group of fans focused on the TV broadcasts many here have "wished" for the good old days. Like when a driver drove his own truck and pulled his car into the track and unloaded it himself. We all believe that Rusty used to be one of those guys. A guy who would lean on his car after the races, signing the fans programs and pictures they purchases from the local photo shop at the track, and getting his picture taken with the small children, all the while establishing a fan base and credibility, so that when he "got the call", he had the beginnings of a start to his career. When Rusty got the call, he made the most of it. In Bristol during qualifying, coming out of the forth turn he flipped his Pontiac, pinned in the car, DR Jerry Punch reached into the car and saved his life, an event which became the stuff of legends. Shortly after Rusty started winning and Dr Punch became as famous for his pit road presence as a reporter, a friend and a fan, a person who was approachable and likable. Rusty went on to become a Cup Champion, he signed a lifetime contract with Miller Brewing Co, and received a part ownership in Roger Penskes Cup operation. Rusty surrounded himself with credible people, he also had lawyers. Expensive lawyers. Rusty had a good business sense. To believe that he was not aware that US Fidelis was not making good on its promise, he had a fiduciary duty to at least act in a manner that the fans expected of him. Honest, Credible, and Trustworthy. Remember, Rusty and his son both made advertising personally assured that US Fidelis was a credible entity, worthy of the fans trust. I never saw or heard one word of remorse from either Rusty or his son. Rusty has stated he would not spend his own money to finance a race team. The Millions he made are his, and he is not the guy leaning on the race car signing requests anymore. He has become the smiling face of ESPN, former Champion, a guy with former CREDIBILITY. Now each network has a former champion that has become questionable in their ability to believe. Not like the guy signing autographs in the pits. It used to be so simple, local hero makes good, I wonder how many fans feel Dale Sr was less than credible? That is what is different in todays NASCAR, the fan has an issue believing in the facts that the expert commentators present. The fan has an issue with what the President of NASCAR says, he is about as credible Rusty. I could write all day and all night and revise for a week, but I could not improve on what @James says here. Rusty Wallace is a snake. Think about this: After all of that mess with US Fidelis, he even had "Fuel Doctor" sponsorship. Consumer Reports completely destroyed that scam of a device that claims to "increase fuel mileage by up to 25%". CR found tested it on 10 separate vehicle and found no improvement whatsoever and that the only thing it accomplished was to light-up some LED's. lmao. Rusty Wallace has always made my skin crawl whenever he was interviewed. He should be ashamed of himself and be embarrassed to be on TV, but he isn't.